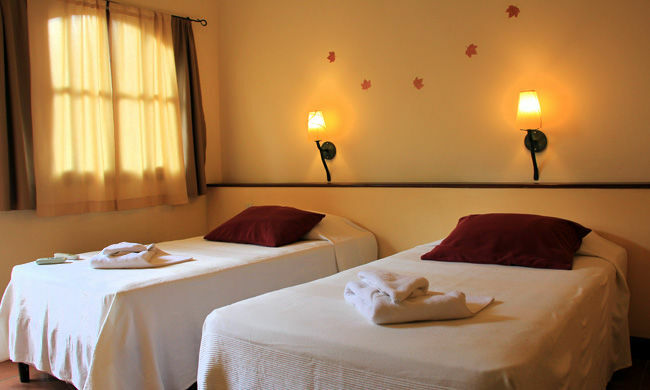 Simple comfort at Granada's most charming family-run guesthouse. 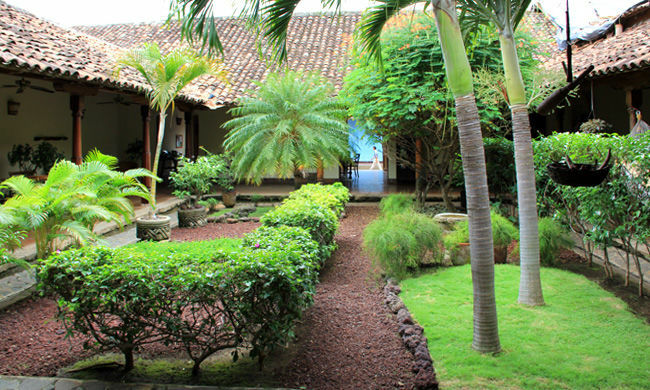 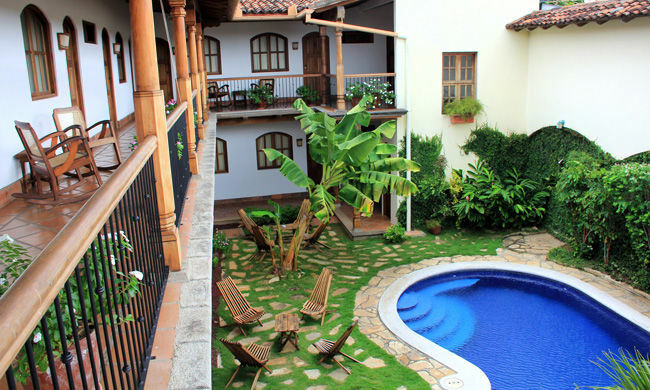 Hotel Patio del Malinche is a restored colonial guesthouse in a quiet district close to the center of historic Granada. 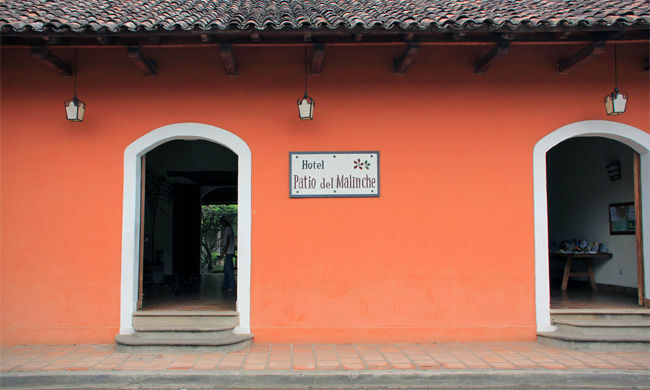 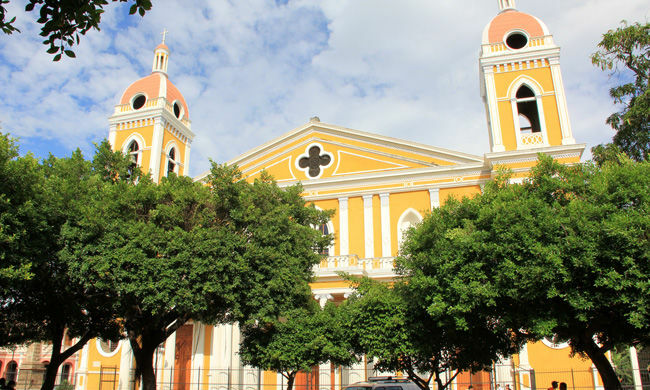 From here, you will be able to visit the most interesting parts of town, stroll down the streets with their sun-dried brick houses and live scenes from the past by observing the locals just sitting in their rocking chairs watching life go by. 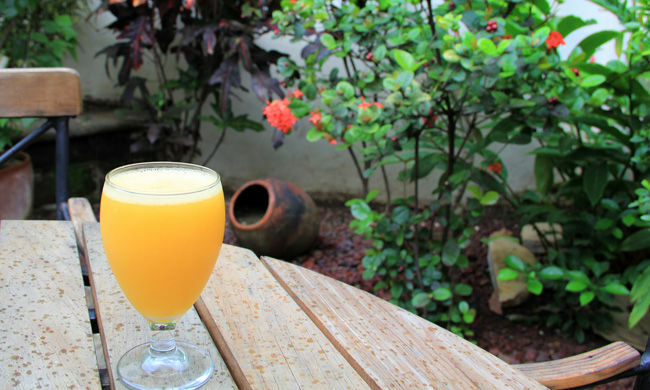 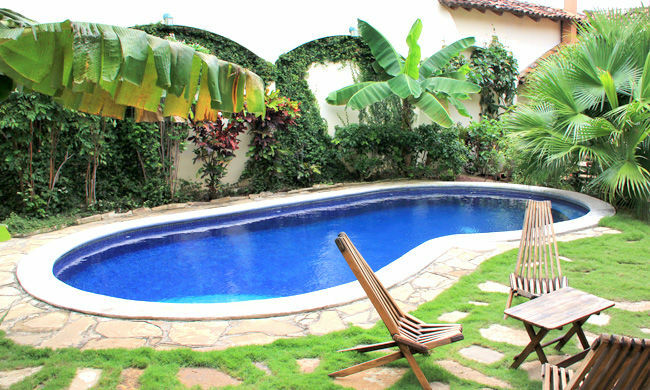 The guesthouse has two courtyards, offering tranquil resting space amid tropical gardens and a beautiful swimming pool, providing a wonderful setting for relaxation while drinking a fresh fruit juice or a ‘Malinche Cocktail’ (specialty of the house). 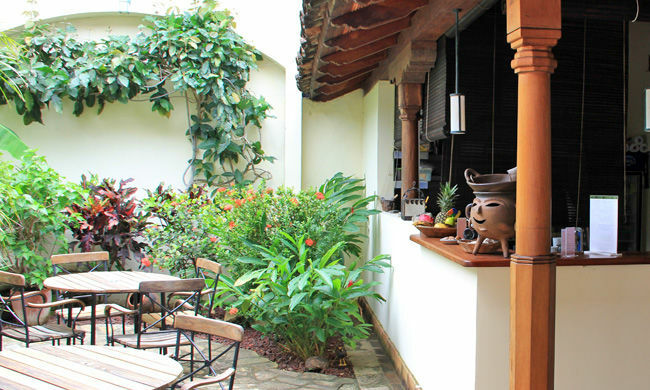 El Patio del Malinche has 15 rooms with direct access to the terrace, garden and swimming pool. 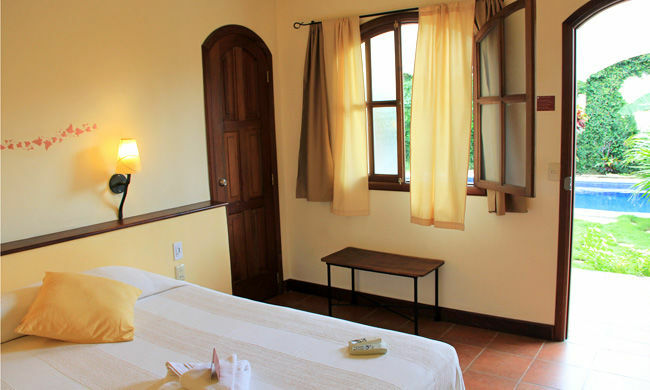 The second floor rooms will have a spectacular view of the Mombacho volcano. 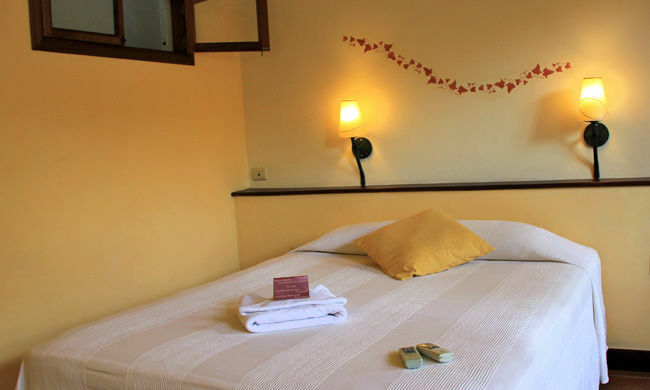 All rooms come with either a queen or two twin beds, AC, hot water, cable, Wi-Fi and safety deposit box Also included is a complete a la carte breakfast with delicious fruit juices.